Hello, Summer! And a beautiful day it is! How about a road trip? Pick up you 2018 RXR blocks at any of the participating shops. You can even plan your trip with Google! Go to https://rowbyrowexperience.com/ and click on the upper right hand corner. Google maps will help you plan your trip whether it is local or cross country! There is lots of info available on the website you might enjoy, too. Have you tried English Paper Piecing? we have some "eye candy for you! Here is Violet Craft's "Barn Own"! We have the original quilt on loan for a month so stop into see this cute project. 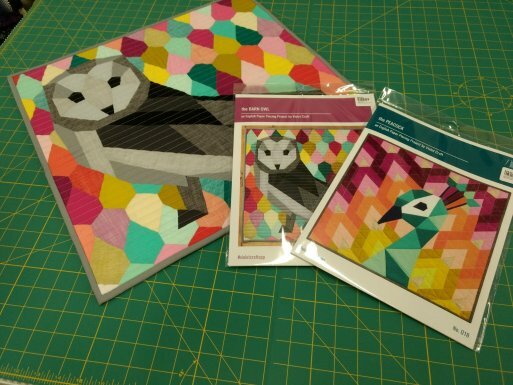 We have the pattern for both the Barn Owl and Peacock in stock. They are about 24" square finished. While you are here check out our new books! 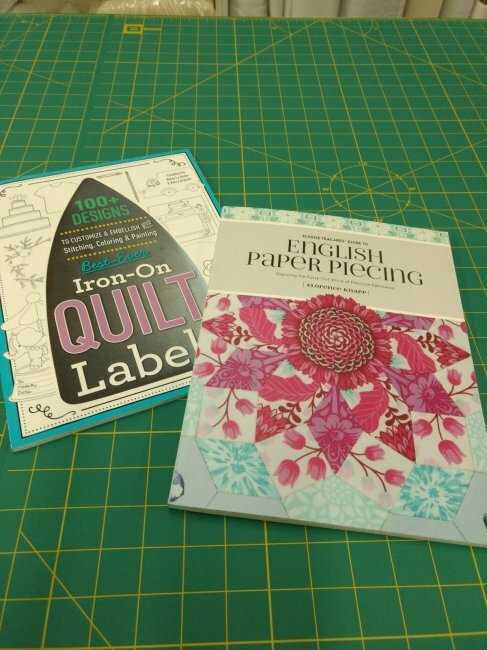 English Paper Piecing is hot off the press and a best seller already! Beautiful illustrations show the basics as well as wonderful examples of EPP. This one has me drooling . .
And that new book on labels--you know you need it! This has the cutest illustrations. Press on the illustration and then customize however you wish. Add the info about your project and then embellish as you wish--or not! You could use crayon tinting techniques, fabric paints or markers, or even embroidery. 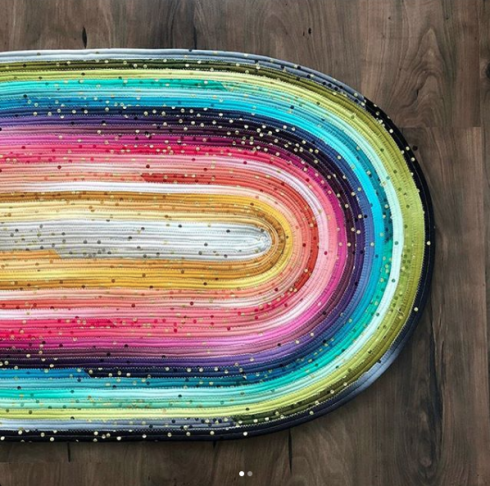 Those beautiful Ombre' Confetti jelly rolls are here! Yes, I made the Jelly Roll Rug with mine and I love it--but these make up beautifully into many jelly roll patterns. And we have this panel back in stock! 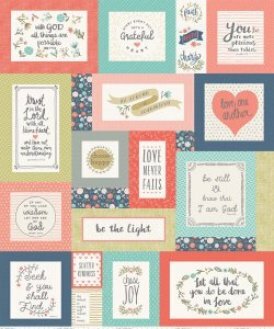 Heart & Soul is an over-sized panel measuring 56X67" with inspirational quotes. Don't forget to visit the shop during Olde Glory Days. The Greater Golden Valley Quilters Guild will have their annual quilt show on Friday and Saturday, June 29-30 at the Rotary Building on the historic downtown Clinton Square. Check out their Facebook site for event details for the weekend.